Firstly, this was not my idea, but I wanted to test it out in Detroit. 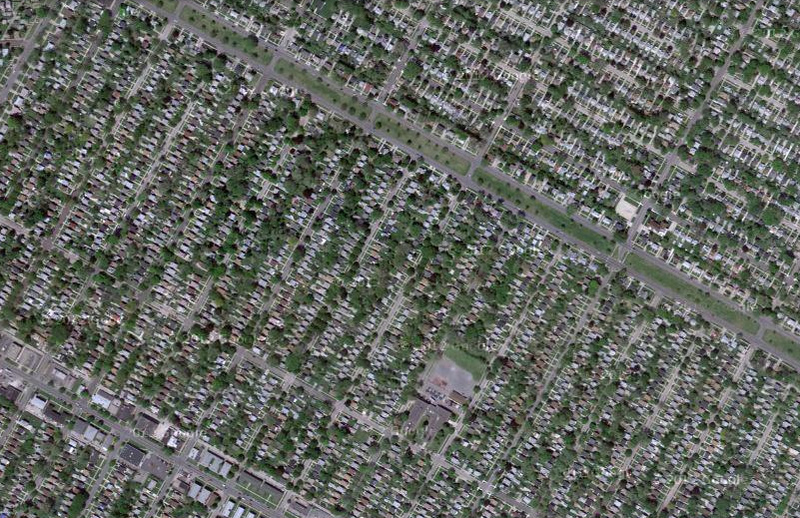 Tim De Chant posted on Per Square Mile that inequality can be visualized from space via satellite images on Google Maps/Earth. He previously wrote about the concept that the lack of urban trees represented the absence of wealth in certain areas of a city. The research basically stated that with an increase in income the demand for trees increased likewise decrease in income showed a decrease in demand for trees. As De Chant writes, the authors found that trees were seen as a luxury item. 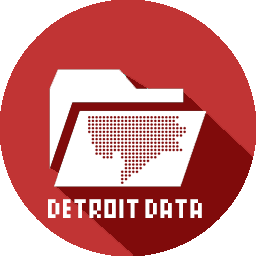 This all made the gears turn in my head about how this research and De Chant’s image grabs from Google satellite imaging applied to Detroit. I used to live in this zipcode, in the University District. I would often run around the Palmer Woods neighborhood because I was fascinated by how different running south past 6 Mile Rd. and running north above 7 Mile Rd. could be such different environments. Census data pegs this zipcode as one of the highest income areas of the city. 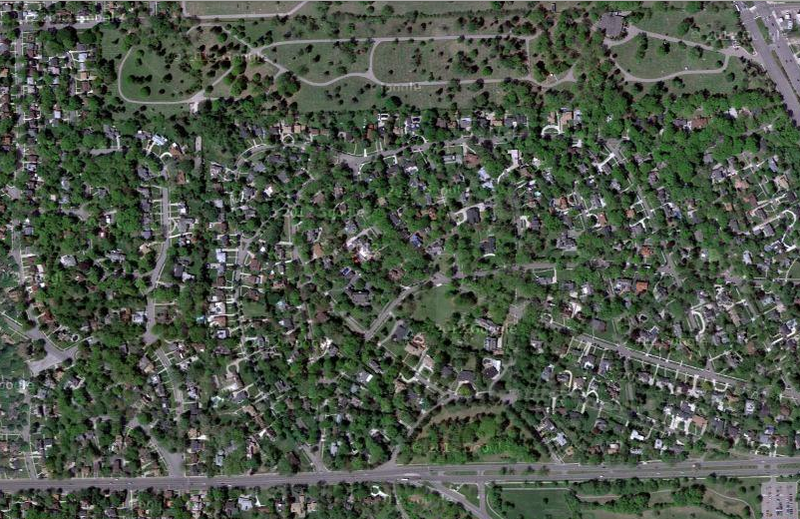 The idea seems to work well in Detroit neighborhoods, however the Greening of Detroit is working hard to plant more trees every day in both wealthy and poor neighborhoods. The organization is estimated to have planted over 65,000 trees since its inception in 1989.